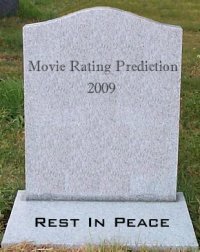 There is no longer any reason to bother researching new ways of predicting the ratings users will give to movies. It’s time to move on to more interesting things. But seriously, given the fact that the last few miles of the Netflix competition were hard-fought by combining hundreds of different algorithms, is there much value in trying to improve recommender systems in this way, anymore? I expect that the Netflix Prize data set, if left open to the public, will still be useful for a number of machine learning tasks where the goal is not necessarily improving recommender systems. So predicting movie ratings may never be really dead. But it is my hope that that as a goal for research will diminish and the focus will start moving towards other aspects of recommender systems still greatly lacking. Like building systems that facilitate discovery of new items. Factoring in the temporal dimension was a big deal in the latter part of the competition. Sometimes you’re just in the mood for something gloomy. Or something funny. Or something ridiculous. The same movie may totally turn you off a week later. No machine (biological or mechanical) can predict these swings of emotions in the near future, so why bother? Flip that around and let’s find ways of improving the search for items matching our mood at the time. A system that interactively elicits your mood and guides you to matching items would be incredibly useful, don’t you think? I competed for the prize for a bit, trying out a few ideas with support vector machines and maximum margin matrix factorization [pdf] that never panned out. We were getting about a 4% improvement over Cinematch, which put us way down the list. Going further would mean investing a lot of effort into implementing other algorithms, working out the ensemble, etc., unless we came up with some novel algorithm that bridged the gap. That didn’t seem likely, so I stopped working on it just after leaving school. I learned a lot about machine learning, matrix factorization, and scaling thanks to the competition, so it was hardly a net loss for me. The one thing I regret is that the prize encouraged me and my advisor to spend more effort on the competition than we should have, which in turn meant we didn’t spend more time working on something tangibly productive for research. Bluntly put, I think if we hadn’t wasted so much time on the competition, we could have worked on a different research problem more likely to produce a paper. The lack of published research on my CV was the main reason I didn’t move on to get my PhD at CMU (at least, that’s what I was told by those close to the decision). Hindsight is 20/20, and at the time, the shining glory of winning a million bucks and fame was delicious. It also seemed like we had ideas that “maybe kinda sorta” were going somewhere. That turned out to not be the case, but when admissions committees look at research experience, negative results = no results. Many people have lauded the competition by saying that it has encouraged research in collaborative filtering and brought public attention to the field. I was one of those people. Others have criticized it for not focusing more on what people actually care about when using recommender systems — getting something useful and having a good experience! And yes, Daniel Lemire, I’m thinking of you. :) But I’m convinced that Daniel is right. I remember reading in the literature that a 10% improvement is about what’s needed for someone to actually be able to notice a difference in recommender systems. So maybe people will notice a slight improvement in the Netflix recommendations if these ideas are ever implemented. Which is another problem — most of the stuff that led to winning the prize is so computationally expensive, it’s not really feasible for production. Netflix recently released some improvements, and I didn’t notice a damned thing. They still recommended me Daft Punk’s Electroma, which was a mind-numbing screen-turd. And I must have seen every good sci-fi movie ever made, because there are no more recommendations for me in that category. I have trouble believing that. The point of a recommender system really shouldn’t be just to guess what I might happen to rate something at a given time. The fact that introducing time makes such a big difference in improving performance in the competition seems like a ginormous red flag to me. Sure I can look back in time and say “on day X, people liked movies about killing terrorists.” The qualifying set in the competition asked you to predict the rating for a movie by a user on a given date in the past. Remember what I said about hindsight being 20/20? How about you predict what I will rate a movie this coming weekend. See the problem? I will sound the HCIR trumpets and say that what recommender systems should really be looking at is improving exploration. When I go looking for a movie to a watch, or a pair of shoes to buy, I already know what I like in general. Let me pick a starting point and then show me useful ways of narrowing down my search to the cool thing I really want. Clerk dogs is a good first step on this path, though I think we’re going to have to move away from curated knowledge before this is going to catch fire. Is presence really better than frequency? In my previous post about sentiment polarity, I talked about results from Pang et al (2002). One of the conclusions in that paper was that the presence of sentiment words led to better classification results than the frequency of words. In my experiment in that post, I used tf-idf, a frequency-based measure. I ran some additional experiments a few days ago when I woke up way too early using presence (binary) weights. The result was a slight improvement over tf-idf: 86.1% versus 85.7%. If we ignore document frequency and just use term frequency, the results were terrible: about 76%. So presence versus term frequency is much better, but presence versus tf-idf isn’t much better. Or is it? Even more experiments with tf-idf produced an accuracy of 86.8%. All of this is based on 10-fold cross validation using the Pang and Lee (2004) data set, just so we’re clear. This seems to contradict their results. Of course, I wasn’t able to reproduce their results identically, even though I am using the folds exactly as they described. This may be due to a pre-processing step I am skipping (or doing extra). They mention length-normalizing the vectors, which I don’t usually bother with. It’s an oft-suggested thing to do with svms, but I have yet to have it actually help me. So I tried normalizing. It hurt results for tf-idf, dropping it to 86.6%. It made no difference for presence, which stayed at 86.1%. No surprises there. My results contradict Pang et al (2002) in that tf-idf (frequency-based) out-performs presence. If I made a mistake, where was it? I wish their source code were made available. I guess I could always ask. There is usually some voodoo involved that isn’t obvious (to me) in the paper. 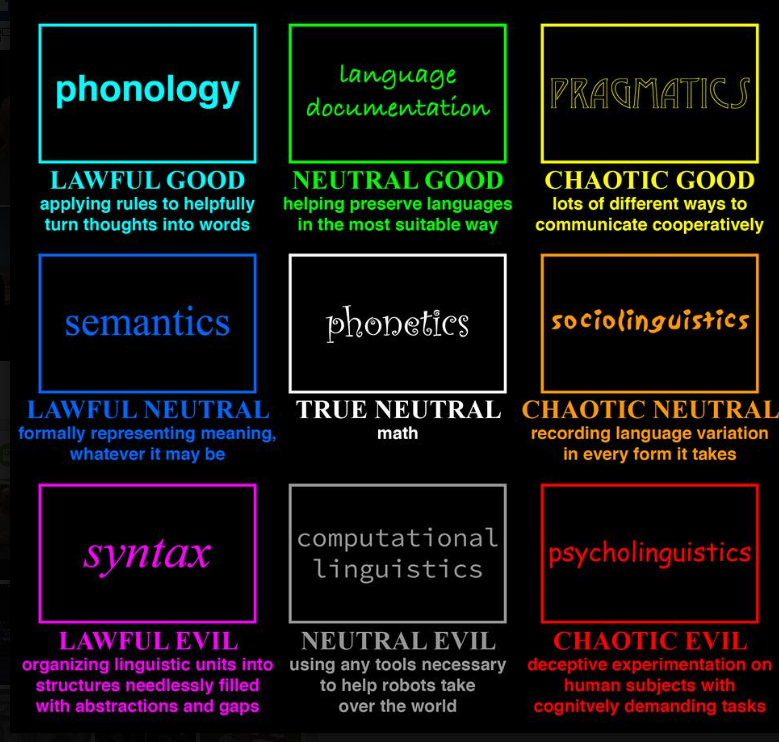 This is a-whole-nother topic, one discussed with far more eloquence (pdf warning) by Ted Pedersen in the latest issue of Computational Linguistics. I’ve begun learning ruby for my new job, a language that doesn’t seem to have really gotten any traction in the NLP community (at least not that I’ve heard). I had been using python for my NLP stuff (homework and projects) and Java for my recommender system stuff. In retrospect, I could have used python for the recommender stuff, but I wasn’t aware of some speed-ups so resorted to Java. Of course, the recommender stuff isn’t strictly NLP. Ruby is just as well suited as python and seems a lot better than Java for many tasks (though Java certainly has its place). At the very least, a scripting language like ruby or python is great for prototyping. It’s easy to test new ideas quickly. I was reading through Pang et al (2002), which deals with classifying movie reviews as positive or negative. They look at three machine learning approaches: Naive Bayes, Maximum Entropy classifier and Support Vector Machines. This seemed like a good opportunity to try out my nascent ruby skills, since it’s the kind of crap I can roll together in python in short order (and do all the time). So I downloaded the data for the paper (actually I downloaded the later data from the 2004 paper). There are 1000 positive and 1000 negative movie reviews. The task is to train a classifier to determine whether a review expresses a positive opinion (the author liked the movie) or a negative opinion (the author did not like the movie). I chose to just use SVMs since they do best for this task according to the paper, they do really well for text categorization, and they are easy to use and download. The results were quite nice. Ruby turned out to be just as handy as python at manipulating text and dealing with crossfold validation: the two main “challenges” in implementing this paper. I used tf-idf for weighting the features and thresholded document frequency to discard words that didn’t appear in at least three reviews. The result was that I achieved about 85.7% accuracy using the same cross validation setup described in their followup work (Pang and Lee, 2004). In other words, the classifier could correctly guess the opinion orientation of reviews as positive or negative nearly 86% of the time.